As you may have read in some of my former pieces, AI platforms like Google Home and Amazon Alexa are going to completely overturn the way consumers interact with brands: they will automate a lot of buying actions – especially when it comes to commodity products like soap or salt – which means that they will move in between us and our customers. 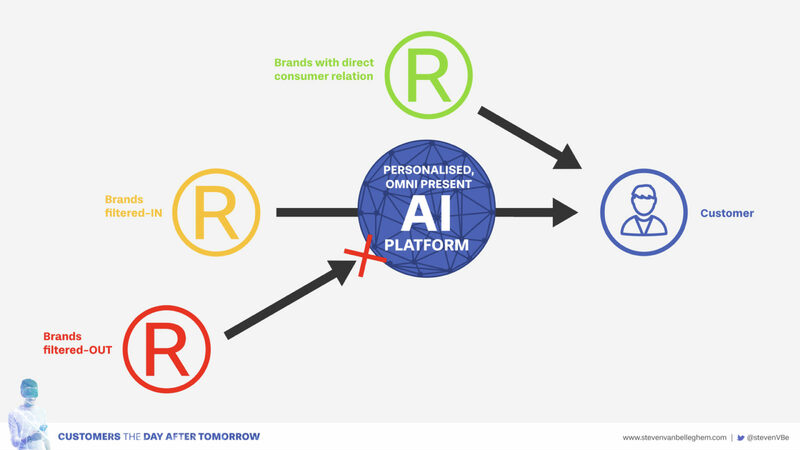 And as these omnipresent and personalized platforms will become powerful filters, brands will evolve to have one of 3 relationship triangles with them and the customer, as described below. One of them will unfortunately turn out to be fatal. Though I believe that direct contact with customers will become extremely challenging and therefore extremely valuable in the Age of Gatekeepers, some brands with a particularly strong identity will be able to stay in control of the lines of communication. The reason that customers will stay with them is twofold: both functional and emotional. A second, somewhat less enviable, but still very valuable class of brands will be those that will lose the direct relationship with customers – because they lack the functional or emotional strength of the first category – but are smart enough to understand the ins and outs of marketing to machines. Though they will not be able to have a direct (buying) relationship with the customer, they will still be able to influence them indirectly. These are the products that may not be love brands or evoke strong emotions, but are still very much liked because they offer such excellent quality of function. The latter is exactly the reason why they are able to get through the filters: because of their strong added value, they will be able to collect excellent customers reviews. As I wrote in “Marketing to machines: what it is & how you can use it in your company”: the algorithms behind the Filter Guardians like Alexa and Google Home strive for extreme personalization. In other words, they will not trust the biased product information on brand websites and instead, will search for more ‘neutral’ information like the ones from customer reviews. In other words: those with good reviews, are the ones that will get through the filters. This is the one category that you do not want to end up in. These are the brands that are too weak to stay in people’s hearts and minds. They are the shallow brands, that are not able to offer a strong value, which will result in a lukewarm response, and no objective online traces to be caught be the filter algorithms. A few years ago, they would have been able to pay big bucks in advertisement to get noticed, and sell their offer. But that is less and less the case. Even now, if you invest hard cash in advertising, but if you get back reviews or poisonous remarks on social media, you won’t have any success. But in the age of guardian filters, they will be the first ones to literally disappear, and then die out. Seth Godin once asked the burning question “If your brand were to disappear tomorrow, who would truly miss you?”. 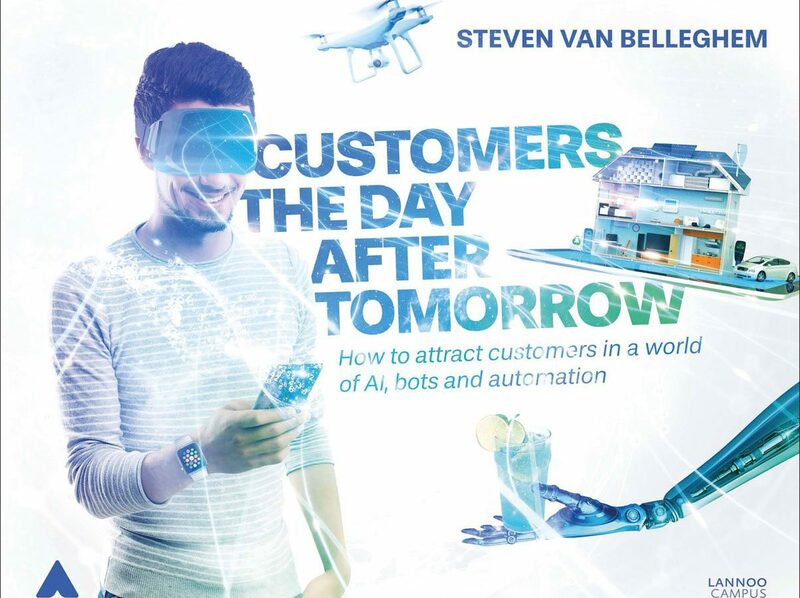 The evolution towards automated buying brings this query to a whole new level: full automation will hide brands behind a filter, a “wall”, and they will indeed disappear from the point of view of the customer. Only the functionally and emotionally strong brands will truly be missed, and thus be actively looked for. The functionally strong (and much liked) might not be actively sought after, but will be found because of their good reviews. And the rest will remain invisible and will very quickly disappear. My advice? Now that most of you still have a direct relationship with the customer; work on your brand identity like never before, and think like crazy about how you can come become the best and most loved brand of your industry.